Have you heard of Jane.com? I’m here to tell you about a store online that is compromised of all different boutiques in one. Have you heard of Jane.com? Well that’s just what it is. They offer great prices at a discount. You don’t have to run all over creation to get these items, it’s all in one place! They offer home decor, clothing, maternity, accessories and more! Once I found this online store, I was hooked! Below I posted just some of the items they have to offer to give you some ideas. Every week there are new items added and great sales too. I list the weekly sales on my Facebook page. I also share items on my Pinterest page as well. How cute is this tunic?! How could you go wrong for $13.99?! You can dress this top up with a blazer or just with some jewelry and your ready for a day or night out! 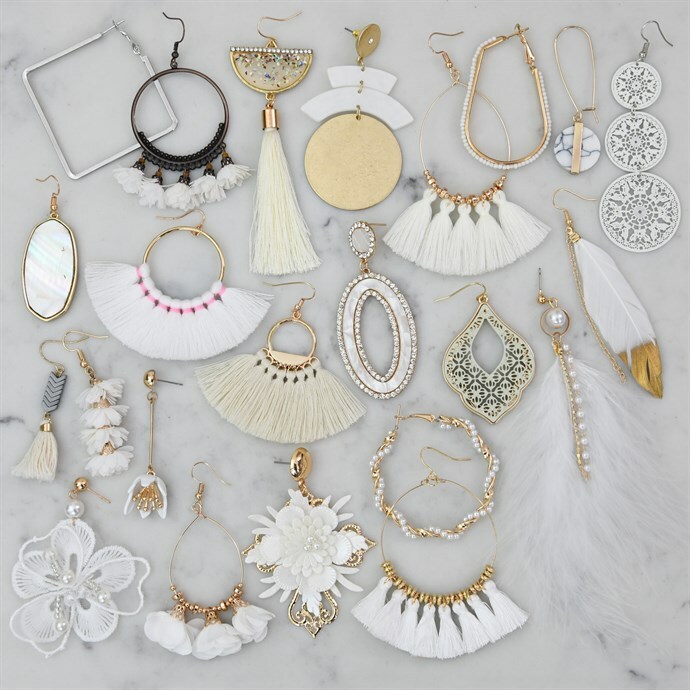 Adorable earrings at an amazing price! I don’t know about you but I just love florals. 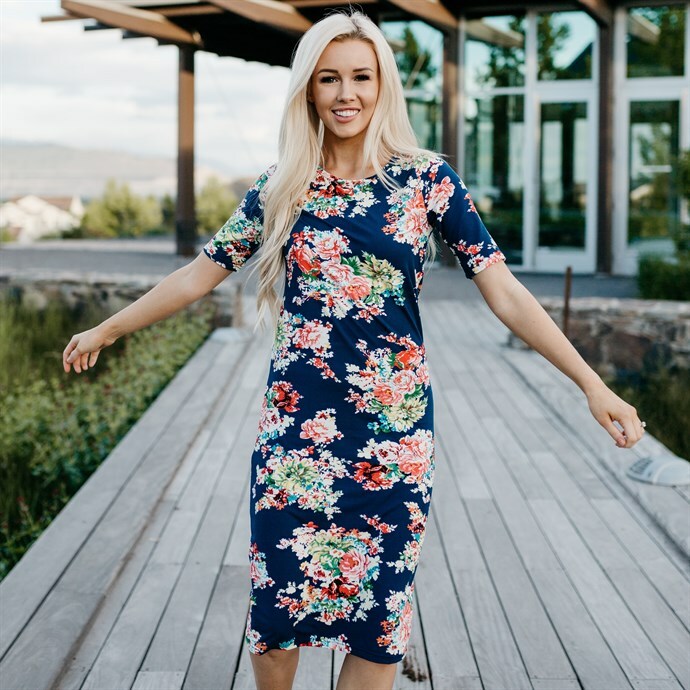 This pretty dress is only $21.99. This dress could be worn to work, a party or just a day out on the town. 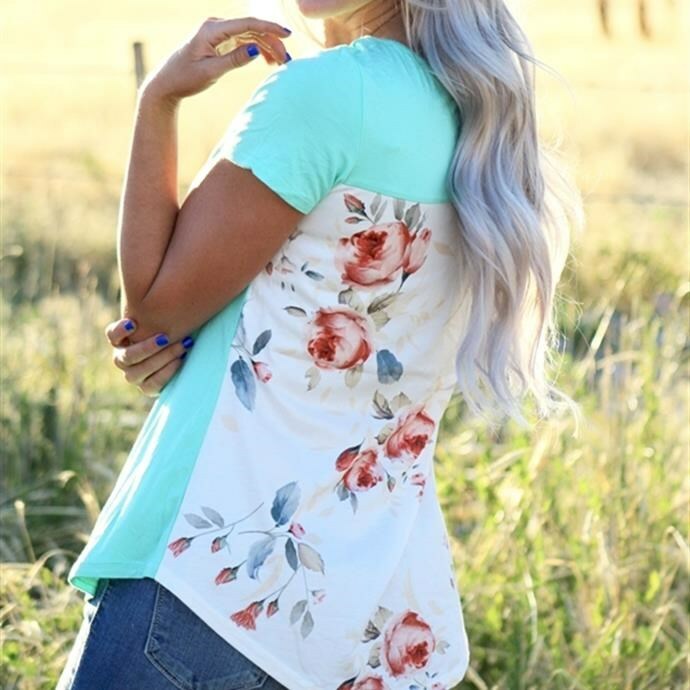 Here is another cute floral top. Worn here with jeans or you could wear it with a pair of shorts or a skirt. Dress this up or down for $21.99, it’s a great deal. Who doesn’t need a simple tank to wear under a top or with a blazer or cardigan. It comes in 5 different colors and is $9.99! I think so far this off the shoulder top is one of my favorites. 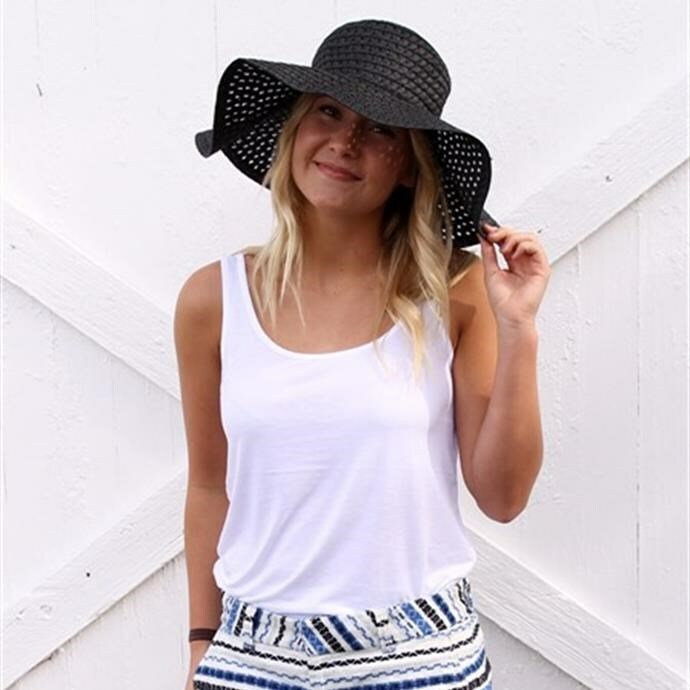 How cute is this adorable top and it’s only $15.99, that’s a steal! You could dress this up with white jeans or shorts. Florals are always in style. This mixed media top is so pretty. This is another top you can dress up or down. This price is right at $17.99. This striped maxi dress is adorable and looks comfy. A win-win! Priced at $14.99!! 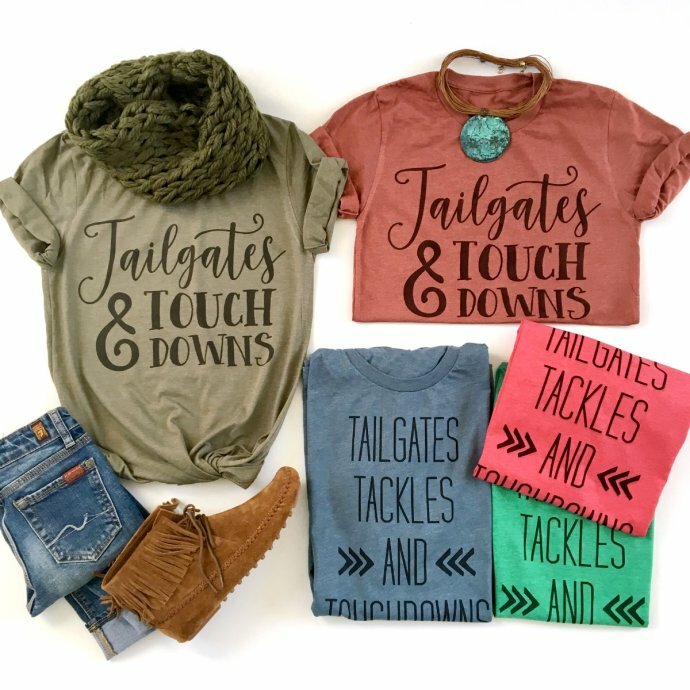 How cute are these tees with football season around the corner! They are only $12.99! Perfect for those fall games. Distressed are my go to casual jeans. They are ripped but not to much! These are priced at $27.99. It’s a great deal under $30! A closet staple is a little black dress. The dress can be worn on a day out and about or dressed up for a night out. It’s at a great price of $14.99! I just love tee shirt sayings. 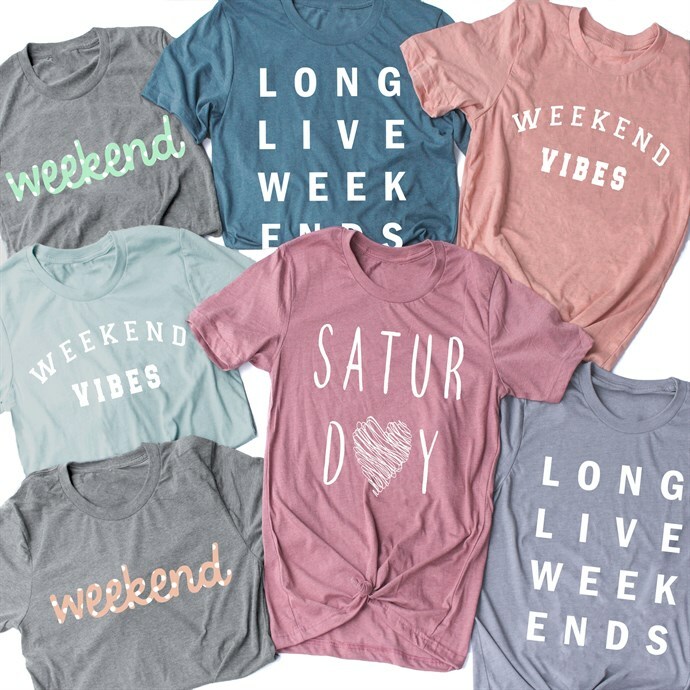 These cute weekend tees come in a variety of colors! They are only $14.99. I hope this gives you a better idea of what Jane.com has to offer. Give it a try, I don’t think you will be disappointed! Previous PostStitch Fix kids is here!